Register or transfer your domains for safe keeping with 4GoodHosting. With your domain purchase, you will be able to log into your client area portal anytime to manage every aspect of your domain collection. Transfers at $14.95 a year or Free with a hosting package by click the Transfer now button below. I want 4goodhosting (R629 Enterprises Ltd.) to register a new domain for me. 3. Remove privacy protection from the WHOIS information ( Only applicable to non .ca TLDs ), as this tends to divert the verification email to a non-responding admin address. 5. All .ca .com .info, .us ,.biz and .org transfers require an authentication code when transferring domains to us. You can obtain an EPP authorization code from your current registrar (where the domain is currently registered). 6. We cannot transfer domains that are less than 60 days old. If you registered your domain within the last 60 days, please wait until after 60 days before starting a transfer to us. We'll still be able to host your website . 7. Domain transfers add 1 year onto your expire date, so you don't lose any time you have paid for. Are there any hidden cost ? NO! When you signup for a Web hosting plan, 4 Good Hosting will register a .com, .net, .org, .biz, .info or .ca domain name for you completely free for Canadian & US Residents. Can I transfer my existing domain name for free ? Yes. 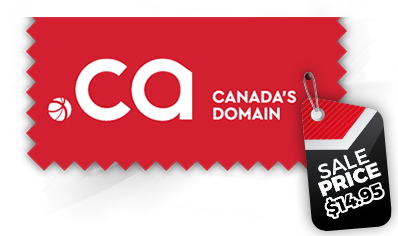 We are now capable of transferring domains .ca, .com, .net, .org, .biz and .info domains. We will add one-year to your existing domain name at no extra cost. You can also keep your domain name where it is, and simply transfer the DNS to 4 Good Hosting. But with any Business or Advanced Web Hosting Package you get your Free Domain Name so you’d be crazy not too. To Transfer a domain Click Here! Can I get a free domain with a reseller or add-on package ? No. 4 Good Hosting will provide new domains and domain transfers regular price for all reseller and add-on orders but our pricing is some of the best in the domain name industry. Can I order a domain name without web hosting services ? Yes you can just purchase a domain name with out web hosting. Please see pricing here on this page. Does 4goodhosting own the free domain name ? NO! 4goodhosting.com registers the domain on your behalf and it belongs to you. You have 100% ownership of the free domain name. What if I leave 4 Good Hosting ? 4goodhosting.com strives to provide the best web hosting at competitive prices. If you wish to switch to a competitor you're free to do so at anytime, you may take the domain name with you. How can I get my free domain name ? Just sign-up on an Advanced or Business Package on a quarterly, semi annual or annual billing cycles to get your free domain on our Advanced and Business hosting Packages.